On the northwest side of the harbor in the city of Chania, the Venetians built the Revellino del Porto, a fortification project to protect the harbor and its entrance. 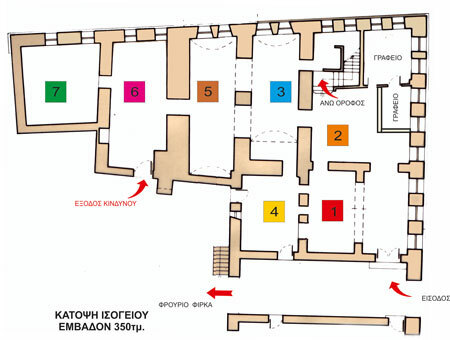 Today, the main building of the fortress houses the main number of exhibitions of the Maritime Museum of Crete. 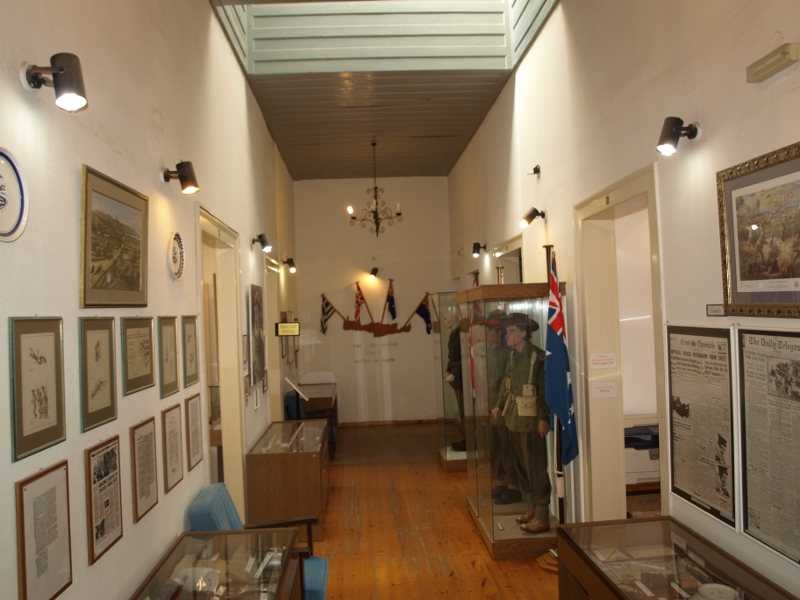 At the two floors of the museum, you will explore the maritime history of Crete and Greece. 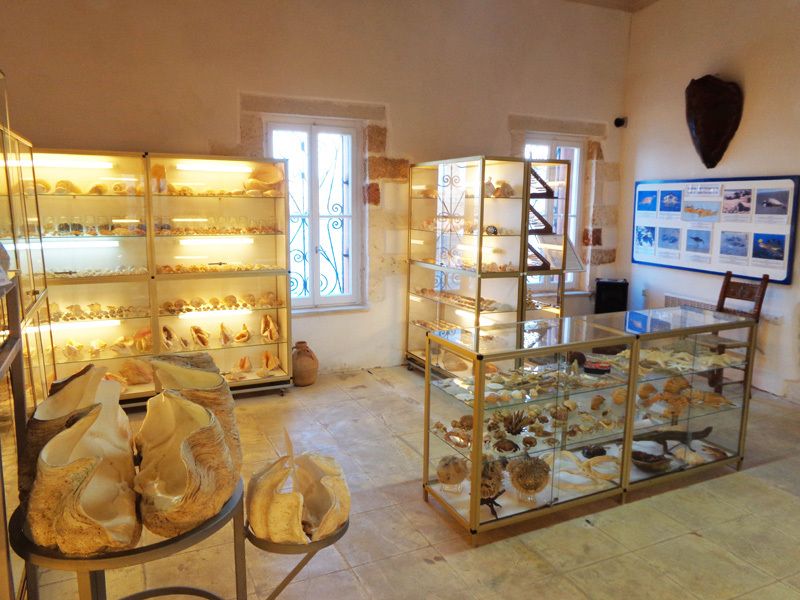 The Maritime Museum of Crete welcomes you to its website. 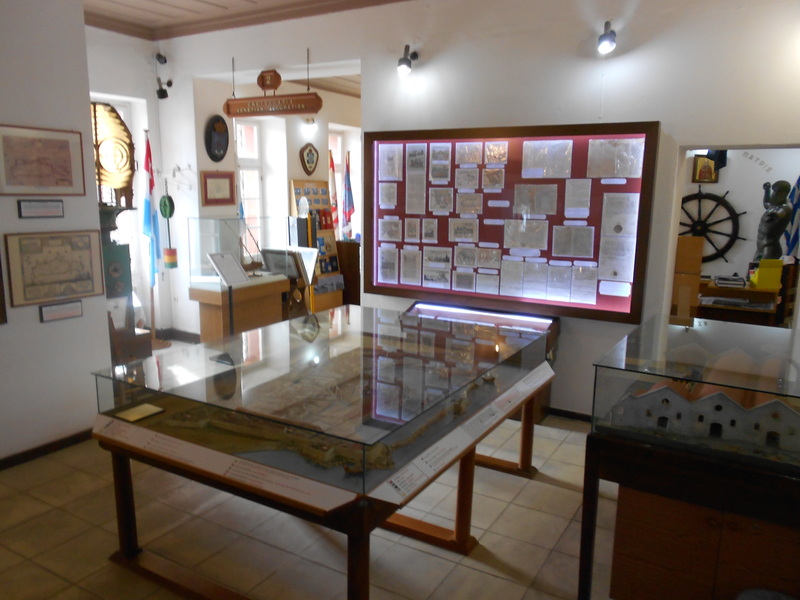 Here you will find much information about your visit, the exhibitions and activities of the museum. In 1467, Venice gave the order for the creation of the Shipyards on the harbor of Chania for the repair of its ships. In 1593, sixteen shipyards (arsenals) had already been built. The construction of Shipyards Moro began in 1607. Since then, they have served various purposes. 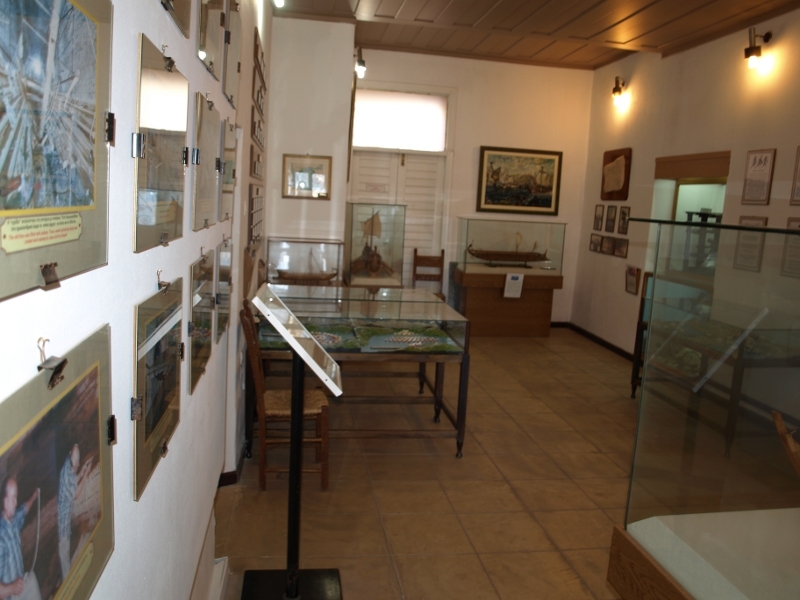 Today one of them hosts the exhibits of the Permanent Exhibition of Ancient and Traditional Shipbuilding of the Maritime Museum of Crete. 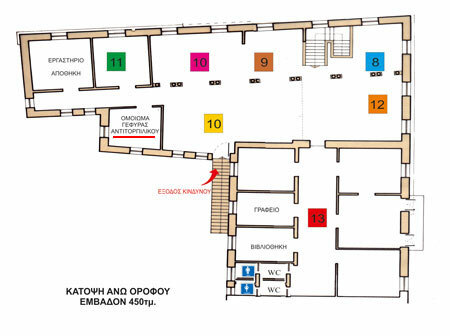 An important step in the development of the Museum is the concession by the Hellenic Ministry of Culture of one of the Venetian Shipyards Moro in the old harbor of Chania for the creation of the permanent exhibition. 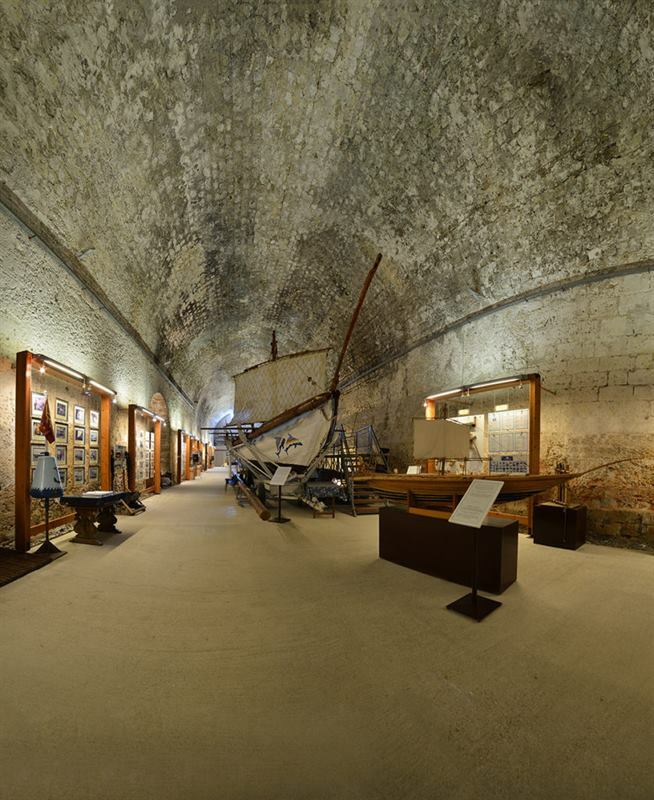 Partial restoration of the Shipyard was carried out with the assistance of organizations and individuals who responded to a relevant appeal by the Museum. Εθιμοτυπική επίσκεψη 30 Αποστράτων Αξιωματικών, Αποφοίτων ΣΔ.ΤΕ.Ν (τάξης 1977) του Πολεμικού Ναυτικού. 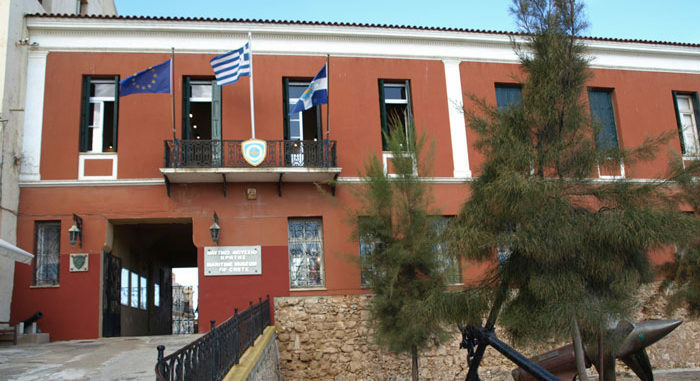 "In short, the Maritime Museum is a great proof of interest and love of our Greek Navy, who continues his wonderful traditions of war and peace, bequeaths in the provincial city of Greece a cultural building similar to the best of its kind." Newspaper "Κρητική Επιθεώρισις" 25.02.1973.